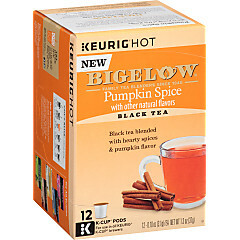 The spiced taste of pumpkin shouldn’t be reserved for autumn. 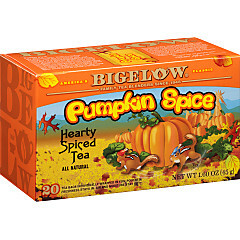 Bigelow Tea’s Pumpkin Spice blend is made with real pumpkin flakes, cinnamon, ginger and cloves—just like your grandmother’s homemade pumpkin pie! The savory, well-rounded flavor makes this blend a tea for all seasons.